Clarksville, TN – Earlier this year, the Austin Peay State University Office of Alumni Relations announced the recipients of the 2019 Candlelight Ball Awards. 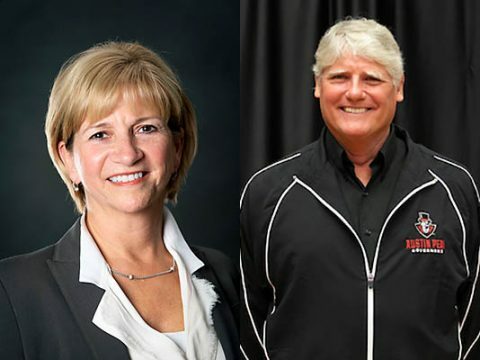 The Wendell H. Gilbert Award will go to Dr. Jeannie Beauchamp, who established Clarksville Pediatric Dentistry in 1999, and the Spirit of Austin Peay Award will go to Len Rye, a residential contractor who specializes in custom homes. Austin Peay State University 2019 Candlelight Ball Award winners (L to R) Jeannie Beauchamp and Len Rye. 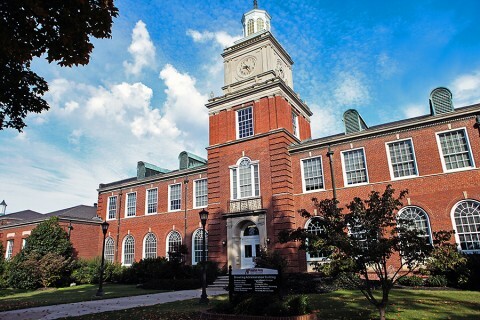 Clarksville, TN – Tennessee Governor Bill Haslam has appointed eight individuals to the newly created institutional governing board at Austin Peay State University. The purpose of the appointments is to give the University increased autonomy to support student success as the state continues its Drive to 55 Initiative. Austin Peay State University’s governing board is one of six to be appointed by the governor, a result of the governor’s FOCUS Act passed by the Tennessee General Assembly earlier this year. 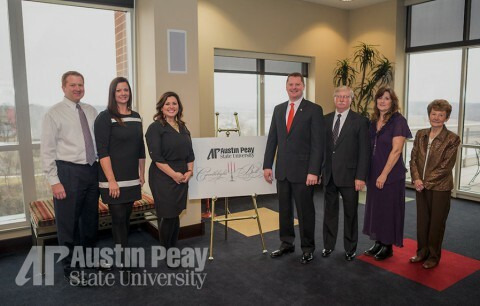 Clarksville, TN – Austin Peay State University’s 31st Annual Candlelight Ball is just around the corner, and to help announce the event, two individuals were honored and recognized during a luncheon held Tuesday, January 13th. The Wendell H. Gilbert Award and the Spirit of Austin Peay Award were presented to two individuals for the outstanding achievement, contribution or recognition they have brought to Austin Peay.